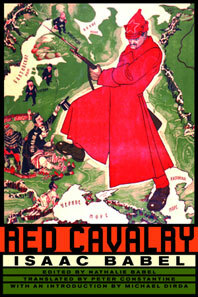 One of the great masterpieces of Russian literature, the Red Cavalry cycle retains today the shocking freshness that made Babel's reputation when the stories were first published in the 1920s. Using his own experiences as a journalist and propagandist with the Red Army during the war against Poland, Babel brings to life an astonishing cast of characters from the exuberant, violent era of early Soviet history: commissars and colonels, Cossacks and peasants, and among them the bespectacled, Jewish writer/intellectual, observing it all and trying to establish his role in the new Russia. Drawn from the acclaimed, award-winning Complete Works of Isaac Babel, this volume includes all of the Red Cavalry cycle; Babel's 1920 diary, from which the material for the fiction was drawn; and his preliminary sketches for the stories—the whole constituting a fascinating picture of a great writer turning life into art.